How Exotel helps Saarthi Education understand their program success with call pickup and completion rates. Saarthi Education is an NGO that is based out of Delhi. They aim to create early childhood experiences for children by providing them with age-appropriate activities. They also empower parents from a low-income background to take control of their child’s early education experience. Therefore the name ‘Saarthi’, which translates to ‘charioteer’. During the pilot phase, Saarthi Education worked with 200 families. They grew rapidly in 10 months and now work with 5000 families. We spoke to the founder Ankit Arora to understand how Exotel has helped them achieve their goals. Parental involvement in the early years shapes a child’s educational outcomes. But most parents from the low-income category lack awareness and the resources to engage in their child’s development. Saarthi designs short activities that boost children’s cognitive, social and learning skills. –Parents found the activities challenging to complete without instructions. this twice a week to provide 1 min instructions for the activities. –This set up proved to be challenging as they grew and started catering to 5000 families. –Saarthi Education was on the lookout for a highly scalable platform that could help them reach these families with ease. Saarthi Education decided that call automation was the solution to their problem. 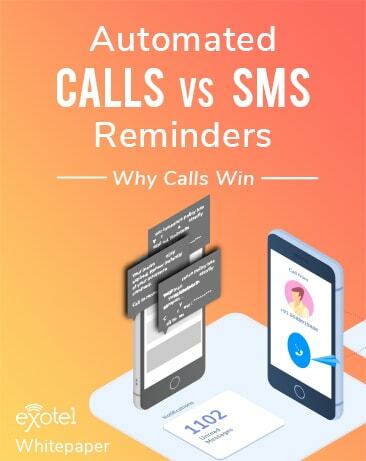 They implemented Exotel’s IVRS and Automated Calls to deliver the instructions. They also integrated their CRM to Exotel, which helped them track parent queries or clarifications. Automated calls that carry instructions to the parents are different for different age groups. They have also implemented vernacular IVR—ensuring that the parents do not miss out on information because of the language barrier. Saarthi Education calls parents based on their preferred slot selection. If the call is missed, it is rescheduled multiple times to 1, 2, 24 and 26 hours from then. This flexibility powered by Exotel ensures that the parents do not miss the instructions. They have field agents who make home visits to check in with the parents if they are unresponsive to the automated calls. They also use Exotel to track call length and to request feedback from the parents. Currently, they trigger about 2000 calls in a day. Each of these calls is 80-100 seconds long. – Saarthi Education uses successful call pick up rates as one of their metrics to measure product engagement. – During the pilot stage, they saw a 67% call pick up rate, indicating a high engagement with the product. – They also use call completion rate as a metric to track activity completion. – Currently, the average activity completion rate is at 76%.